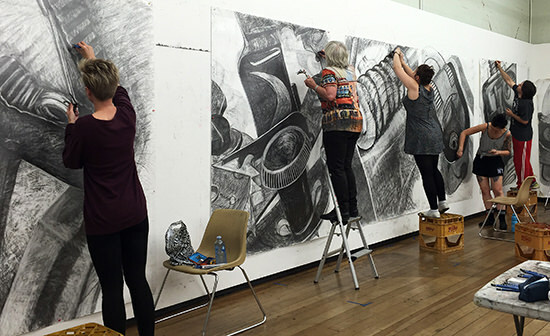 A not-for-profit private school with a single purpose—the training of visual artists—the Adelaide Central School of Art was established in 1982 and has been registered as a higher education provider since 1998. It has produced many professional artists of the highest calibre. Quite separate from universities and TAFE colleges, it is able to operate without compromising its curriculum, its teaching methods and educational and artistic ideals. 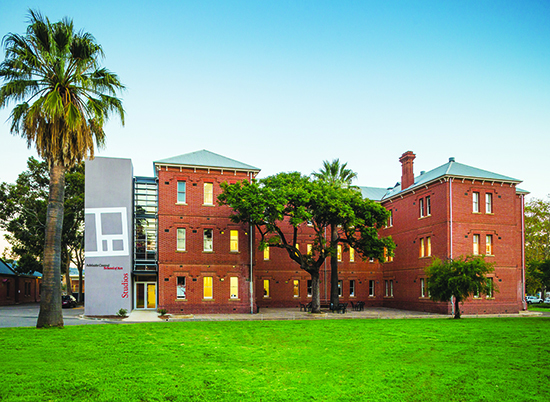 The School is located in a rapidly developing cultural precinct based at the former Glenside Hospital site in the inner Adelaide suburb of Glenside. Prominent staff include Julia Robinson (winner of the Advertiser Contemporary Art Prize in this year’s SA Living Artists Festival), Roy Ananda, Johnnie Dady, Christopher Orchard and Luke Thurgate, and outstanding graduates such as Julia McInerney, Ash Tower, Rebecca Hastings, Chelsea Lehmann and Anna Horne. 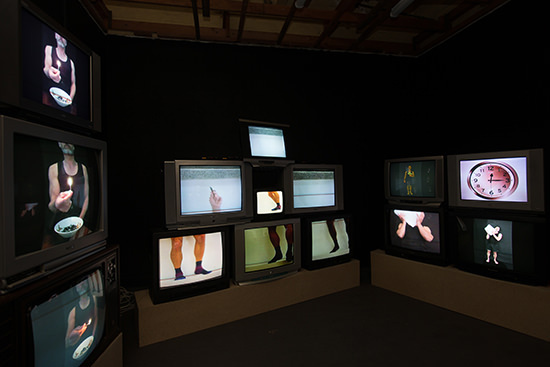 The School is particularly notable for its graduate resources, supporting artists by providing a range of programs to enable exhibitions and travel. As the School’s Vimeo channel demonstrates, graduates such as Jenna Pippett are able to explore the widest range of interests and ideas in their practice. I asked Lecturer Luke Thurgate about the School’s philosophy and, subsequently, Chief Executive Officer Ingrid Kellenbach about the School’s aim to develop a national profile. Luke, what’s distinctive about the School’s academic program? Our approach to balancing the technical and conceptual development of our students. We have maintained our focus on cultivating sophisticated making skills in a range of studio disciplines while increasingly challenging students to be engaged thinkers, researchers and professional practitioners. We are also distinct from many Bachelor of Visual Art programs in not requiring students to specialise in a particular studio discipline in their final year of study. We understand that contemporary artists are increasingly hybrid in their studio practice. We model this by making sure our students generate meaningful connections between thinking, researching and making in their graduate work. The other main distinction between our program and most others is the intensity of the delivery. Through smaller class sizes, increased contact hours and frequent access to lecturers and facilities our students experience a more focused learning environment. Drawing appears to be fundamental to the School’s curriculum. It’s a core component and a versatile teaching methodology. We use it like scaffolding, around which the degree is structured. We believe it’s essential in developing the fundamental skills in analysing, making and thinking. We start by using drawing to teach our students how to observe, judge and respond. We then use it as a way of making links between the experience of the artist and the experience of the audience. Drawing’s directness and adaptability allows our lecturers to unpack the importance of making strategic formal, material, contextual and conceptual choices, not just in drawing but across all studio practice. With rapidly changing technologies and an evolving visual culture, the education of visual artists must be moving in new directions? The School has a balanced range of practitioners who lecture in our degree program. By strategically recruiting and supporting academic staff who are actively involved in the visual art industry, we not only ensure currency in the delivery of our degree programs but also expose our students to artists who are shaping new directions in visual culture. We are able to build on our core units by leveraging our lecturers’ experience of using new technologies in their own artmaking to give our students options in how they develop and execute work. We also believe that the ‘why’ is as important as the ‘how’ when it comes to using new technologies in art-making. How does the School support students in developing distinctive forms of personal expression? 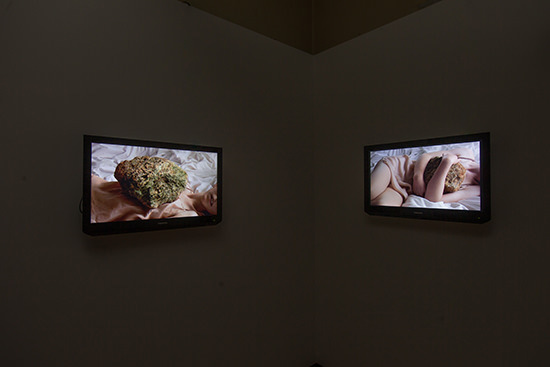 Are artists becoming more concerned with political commentary or conceptual art, for example? We often use language as an analogy when we talk about developing our students’ art-making. From the outset of the degree they develop a wide ‘vocabulary’ of techniques. They get to know materials, what they are and how they work. From there the ‘grammar’ of making is introduced. Students learn how to use techniques in combination to create particular effects. As they get a firmer handle on the ‘language,’ students start pushing around a range of possibilities for creating meaning in their work. At this point personal expression becomes increasingly important and students are supported in developing not only what they want to say but how best to say it. In terms of content, everything is up for grabs for contemporary artists and we find the conceptual concerns of our students are as varied as their backgrounds. There are lots of different ways of taking the pulse of contemporary practice. We encourage our students to get to biennials, art fairs and exhibitions as regularly as possible so their own making is done from an informed position. The School only employs lecturers who are practising artists, writers or curators. It also holds masterclasses with leading artists such as Anna Platten. How do students respond to this kind of professional approach? Our students have the opportunity to work directly with a range of visual art professionals, both in the degree program as well as our public programs. Employing active artists, writers and curators is essential in cultivating trust between students and academic staff. Our lecturers model practice in and out of the School. Through their own professional activities they benchmark the initiative and commitment needed to maintain a career in the visual arts. Being an artist has always been a somewhat precarious way of earning a living. How does the School prepare graduates for visual arts-related careers and how successful are they? 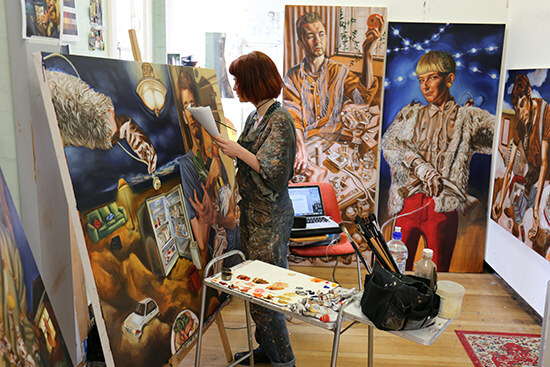 Our degree aims to equip graduates with the skills to become professional practising artists but we understand that this can be a challenging way of generating income. We develop skills in critical thinking and writing and expose our students throughout the degree to the wider industry. The approach is as hybrid as the nature of careers in the visual arts. Students are in constant contact with galleries, organisations and professionals who will support their careers. Through the connections formed during their studies our graduates generally hit the ground running. A number of our graduates from 2015 for example are already getting regular work in the Art Gallery of South Australia’s Public Programs Department. Ingrid, I notice the School is offering travel grants and scholarships to attract prospective students. Are you looking to expand the School and develop its profile nationally? We believe that Adelaide is an ideal place to establish a career in the visual arts and our degree program is of a leading national standard. We are completely independent and not exposed to the changing priorities of universities or reliant on either state or federal government funding. Students who are serious about studying to be artists need to consider the changing landscape of visual arts education in Australia. Given the climate of uncertainty surrounding the viability of art schools within university structures we have recognised an opportunity to attract prospective students from across Australia. We hope that our stability, independence and the quality of our degree attracts a wider range of interstate students to the School.